Take the bright, fresh feeling you love about summertime and bring it into your bedroom by switching to summer bedding. 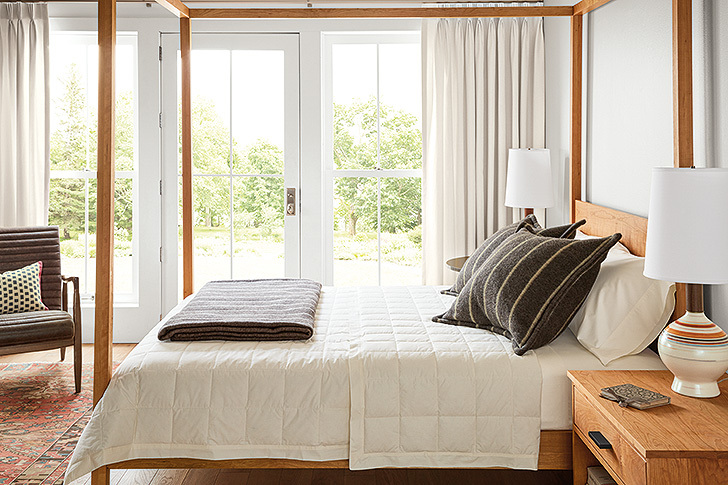 Tracy Dyer, Visual Associate at Room & Board Chicago, walks us through some of her design tips and favorite Room & Board pieces for making a swoon-worthy summer bed. 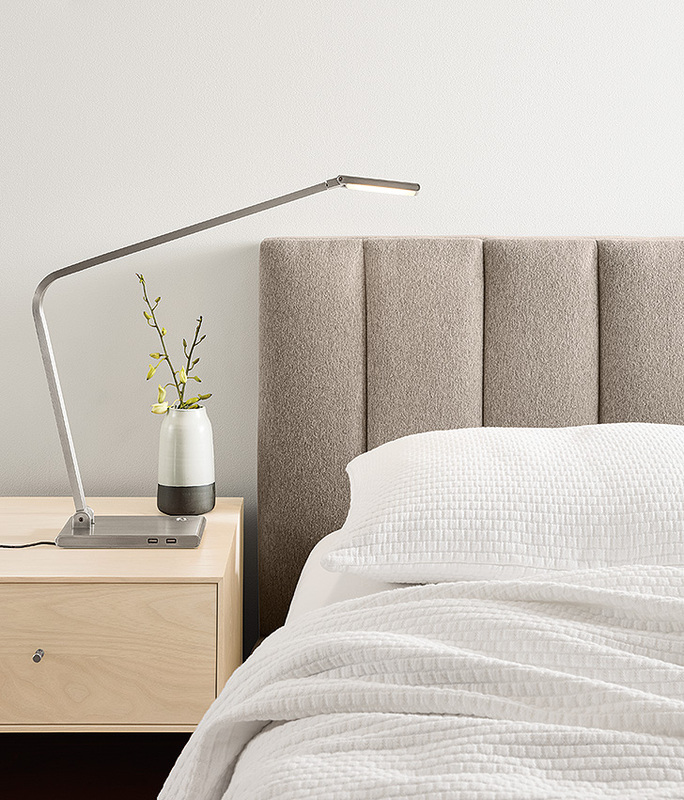 “You hear a lot about creating a ‘hotel-style bed’, especially in the summer,” Tracy says, “but I prefer to call it ‘indie-monochrome.’ It’s a modern organic style that gives you independence to mix varying tones and textures of white together, making your all-white bedding mix a little more residential.” Talk about a bedding guru! She is obsessed with vintage shopping and flea markets. “I do it almost every weekend. It really just fills me up and gives me ideas for setting the store,” she says of her inspirational ventures. “Who doesn’t want to crawl into an all-white cotton bed in the summer? I love our Chevron weave blanket for summer bedding. Pair it with white Sateen sheets and pillowcases to make a bed that feels crisp and cool.” Sateen is a cotton fabric woven like satin, so it has a glossy look and feel that keeps your bed feeling fresh. White Sateen sheets & pillowcases and Chevron weave blanket atop our Marlo bed. 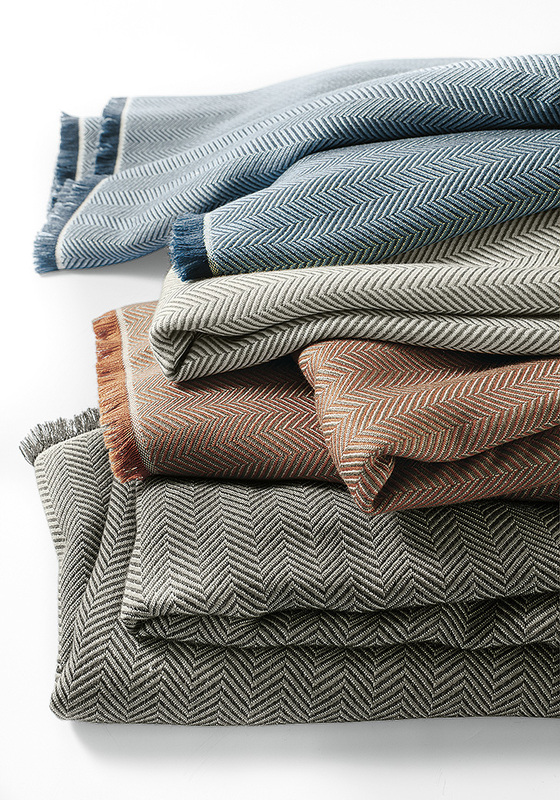 Surrey blanket, Passage blanket & shams atop our Hale bed. Whitemore matelasse coverlet & shams make our Hartley bed even cozier. Norwich blankets, available in black, blush, dijon and grey. Looking for more expert design advice? Our design services are always available to you for free.